ArenaNet has taken notice of the sudden popularity of Beetle Racing in Guild Wars 2, so they're implementing it into this year's Halloween event. There's only a few weeks left before Halloween, which means ongoing games are getting into their annual October festivities. That includes Guild Wars 2, which is holding its annual invasion from the Mad King Thorn. "We do have a couple of surprises that are coming for Halloween this year, because fans of the franchise and the lore know that Mad King Thorn does have some history now with the player and other iconic characters from the game. So we're going to build upon that and go from there. Obviously, we saw that with the release of the Roller Beetle in Episode 3, players just really enjoy creating their own beetle races and those types of things, so we've been paying attention to that." 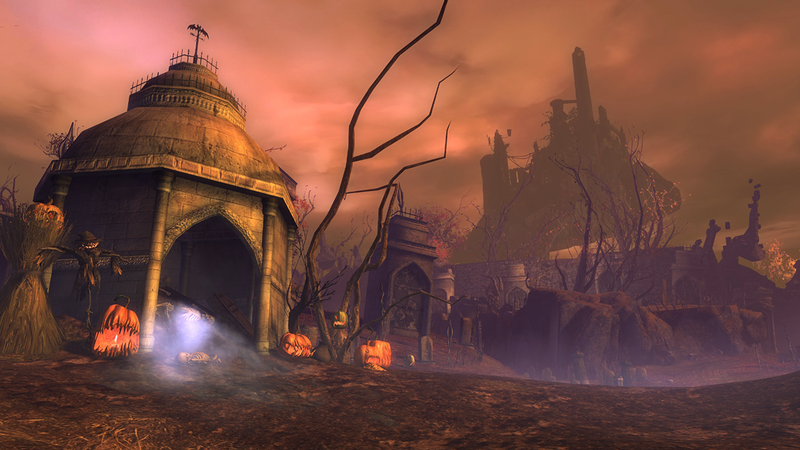 Indeed they have been paying attention, because the Mad King's Raceway will see players jump on their Roller Beetles for a race around the Reaper's Rumble map from the first GW2 Halloween event. And speaking of Reaper's Rumble, that PvP event will make its return, tasking players with recovering pumpkins while sending out hordes of skeletons to attack the opposing team's base. Additional lore surrounding the Mad King can be discovered by those who have completed Season 4, Episode 3 of The Living World, as those players can discover a new collection achievement that offers insight into the rivalry between the Mad King Thorn and Palawa Joko. Lastly, three new weapons await players. They include the Cure dagger, the Soul Conductor lightning rod, and the Revenge butcher knife/axe. 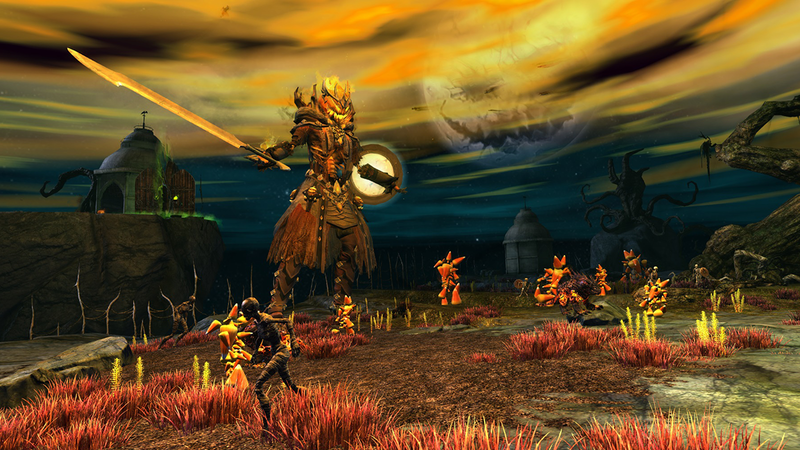 Look for this year's Shadow of the Mad King event to continue through November 6. Sometimes I really miss GW2. Been playing FF14 on and off for the last few years, don't know if I have the time to go back and learn GW2 again. FFXIV is definitely the better game, going to GW2 would be tough. I quite like the open world design of GW2, but never enjoyed the combat. And they've done nothing with it since launch as far as I can see. Yep, that's what I like about it too. Art style is really good. It does so many things right that's its a joy to check it out again. Also, I changed the shackguild default message last night. Hahaha.